 Industrial Clutch Parts Ltd. supply a complete range of Goizper Hydraulic Combined Clutch-Brakes. Goizper 6.28 Series is a Hydraulic Combined Clutch-Brake. Manufactured and design with dual braking and clutching functions, although both functions may not be activated at the same time. ICP holds stock of several types and sizes that cover a range of torques. Goizper 6.28 Series is well suited for the power transmission industry, specially designed for use in mechanical presses, shears, punching machines and other applications that require high number of strokes per minute as well as an accurate start/stop operation. Goizper Hydraulic Clutch-Brakes combine fast braking and stopping times, offering outstanding clutch and brake torques. Goizper Hydraulic Combined Clutch-Brake Series 6.28 can be installed with a progressive piston, providing a soft clutch and brake system. Manufactured and designed to avoid harmful shock loads, vibrations and mechanism breakage, Goizper Series 6 saves time and money on costly repairs, whilst reducing machine downtime. For more information please refer to the product data sheet.